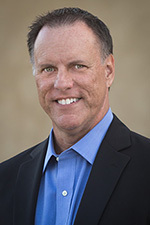 Compliance | Richard M. Hicks Consulting, Inc. When configuring Windows 10 Always On VPN using the Routing and Remote Access Service (RRAS) on Windows Server 2012 R2 and Extensible Authentication Protocol (EAP) authentication using client certificates, clients attempting to establish a VPN connection using Internet Key Exchange version 2 (IKEv2) may receive the following error. The event log on the client also records RasClient event ID 20227 stating “the error code returned on failure is 812”. Always On VPN clients using the Secure Socket Tunneling Protocol (SSTP) may receive the following error. The event log on the client also records RasClient event ID 20227 stating “the error code returned on failure is 691”. 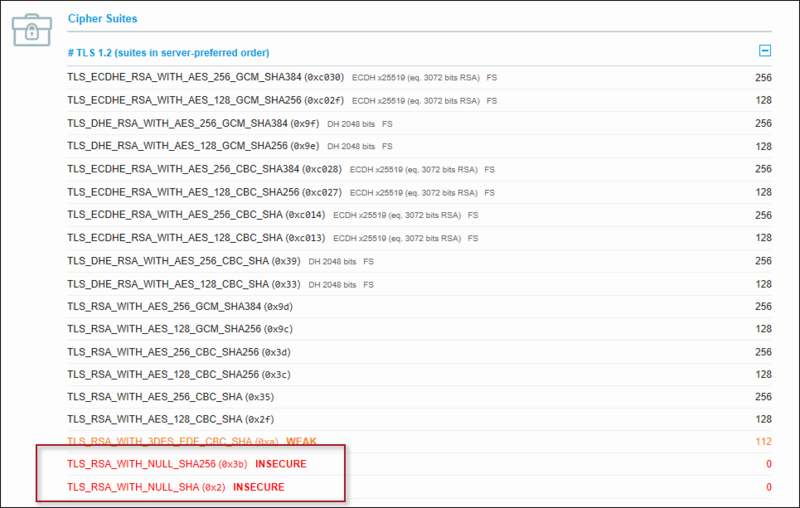 These errors can occur when Transport Layer Security (TLS) 1.0 has been disabled on the RRAS server. To restore functionality, enable TLS 1.0 protocol support on the RRAS server. If disabling TLS 1.0 is required for compliance reasons, consider deploying RRAS on Windows Server 2016. TLS 1.0 can be safely disabled on Windows Server 2016 without breaking EAP client certificate authentication for Windows 10 Always On VPN clients. 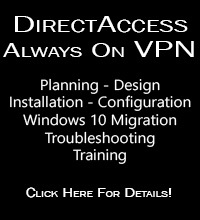 What’s the Difference Between DirectAccess and Windows 10 Always On VPN? DirectAccess administrators may be required to enable Federal Information Processing Standards (FIPS) compliant algorithms for encryption, hashing, and signing on DirectAccess servers to meet certain regulatory and compliance requirements. Be advised that enabling this setting will disable support for null cipher suites for the IP-HTTPS IPv6 transition technology. This will result in the double encryption of all DirectAccess client communication, which will increase resource consumption on DirectAccess servers. 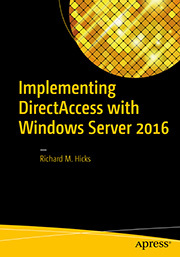 This leads to reduced scalability and degraded performance for all DirectAccess clients, including Windows 8.x and Windows 10. If enabling FIPS compliant cannot be avoided, additional compute capacity (CPU and memory) should be provisioned. For best results, add additional servers to distribute the workload and improve performance for DirectAccess clients. If you’re looking for better security and performance, consider migrating to Windows 10 Always On VPN. Always On VPN fully supports FIPS compliant algorithms without the negative performance impact associated with DirectAccess. If you’d like to learn more about security and Always On VPN, fill out the form below and I’ll get in touch with you.